In the last year I have read about a dozen books by Chris d'Lacey and have really enjoyed most of them. 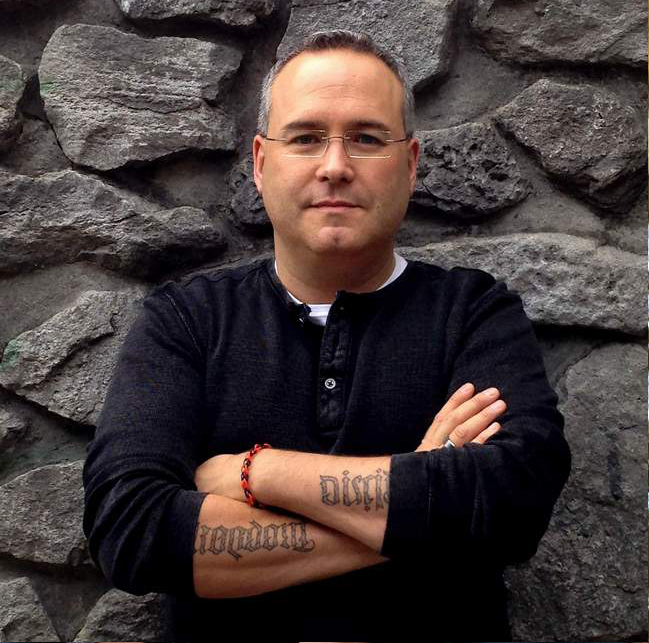 His three series about dragons are amazing. The Prompter, was an excellent read. But I was not sure how he would make a story about pigeons interesting, and yet he managed to do it. In fact I was late coming back from lunch at work because I just could not put the book down. 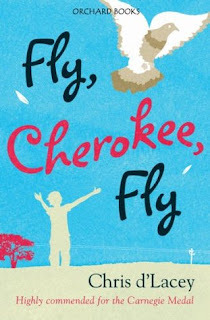 This is the story about a young boy named Darryl who finds an injured bird in the park. He soon finds out that it was a racing pigeon And also that it has a broken wing. With a little pleading and a little back up from dad, they convince his mom to give him a shot at more responsibility and he is allowed to keep the bird and nurse it. Soon he and his best friend Gareth (Garry) have not only nursed it back to health but have become armature bird enthusiast. But things are not all roses and sunshine. Soon Darryl is being blackmailed with the threat of his pigeon Cherokee being taken away from him. He is struggling to keep something he loves and does not know how to get out from under pressure he is under. 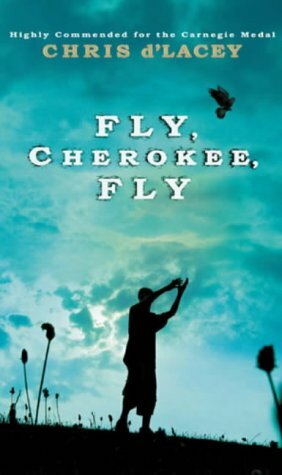 Sometimes fortune and misfortune arise from the same instances and what seems terrible might be the turning point for young Darryl. This story is really well written. It captures childhood in an interesting light. It snapshots that pivotal point where a child goes from caring about themselves to really caring about another living creature. It captures friendship with peers and with unexpected people. It is really interesting watching Darryl grow and mature throughout the novel. This book is a little ahead of my son's reading level, but I told him about it today and he really wants me to read it to him. And to be honest sharing books with my kids is one of my favourite things. We have already read a number of them as a family and enjoy d'Lacey's writing greatly. As mentioned earlier it was a hard book to put down, and is still readily available in both print and eBook formats. 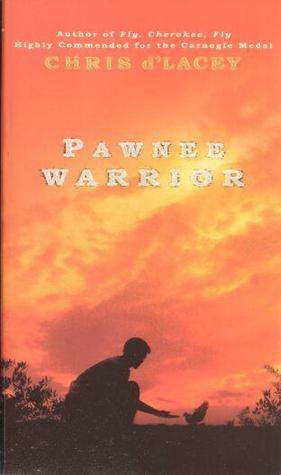 There is also a follow up novel called Pawnee Warrior, If it is anywhere near as good as this volume it will be worth tracking down (and my copy has been shipped). This was another awesome read by Chris d'Lacey. With every book of his I read I am more impressed. A great little read, thank you Chris. Author Profile and Interview with Chris d'Lacey.